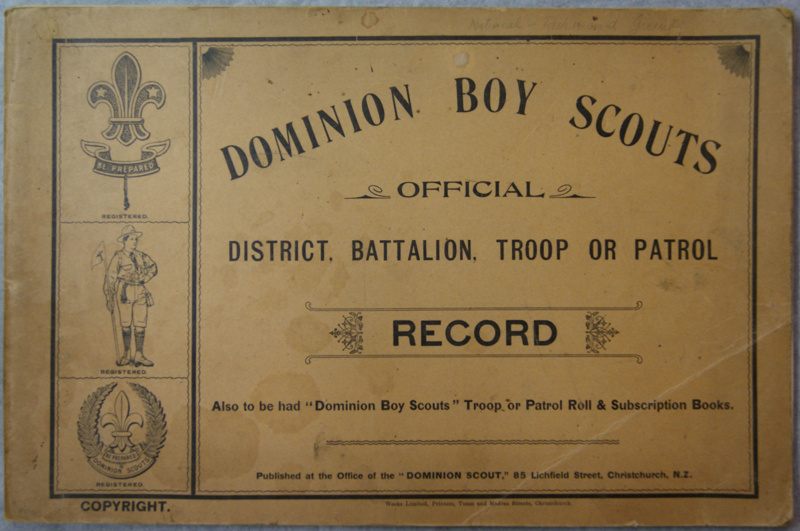 Book for keeping records on progress of Scouts through their badge and award training scheme, produced in the 1910's by Dominion Headquarters in Christchurch and features the Cossgrove era Dominion Scouts logo. The back cover has an advertisement from W.Strange, the Scout suppliers. 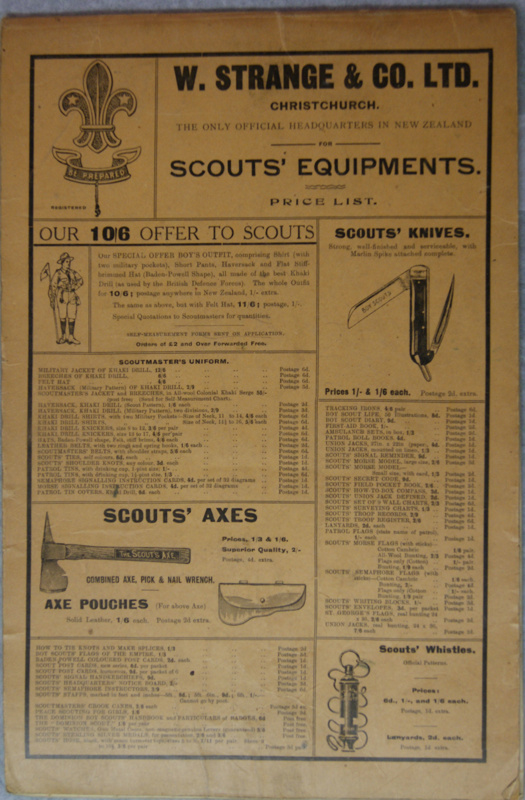 This particular book has some entries in it from between 1915 to 1917 for the Spreydon Scouts from Christchurch.